Congratulations! You have reached Angel Clouds! The purpose of Angel Clouds is to promote Jesus through his Blessed Mother. Our Shop and office is located in Streamwood, Illinois. We have been in business since July 2003. 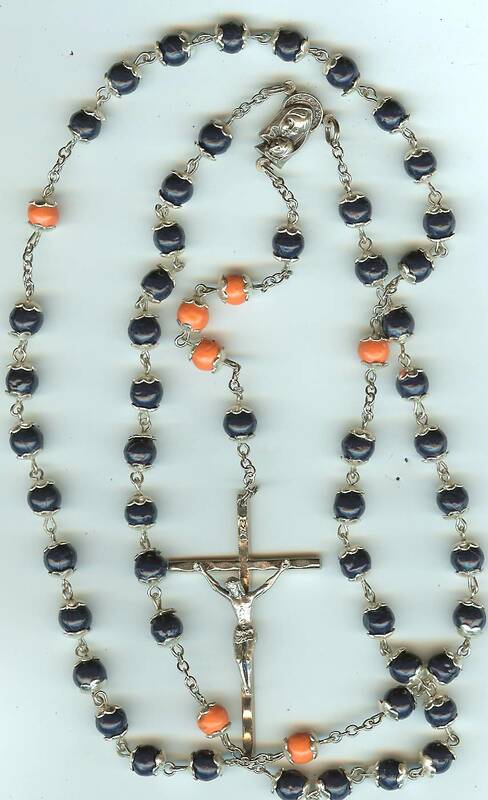 We have also been a prayer group since September 1990, making mission rosaries. Our prayer group is called "Mary Queen Of Peace." Our mission or ministry is to promote World peace. We also help love ones through their bereavement. Promoting the Rosary and building a prayer group dedicated to Jesus and Mary was the only way we felt we could help with world peace. 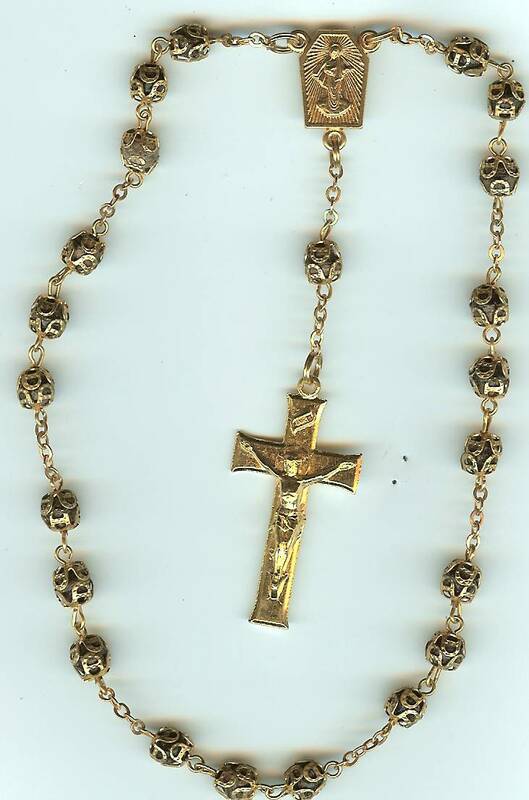 As Our Lady is considered the flower of life, what better way can we do than to construct rosaries from flowers. Being that our Lady always appears on a clouds and sometimes with angels, we came up with the name Angel Clouds. 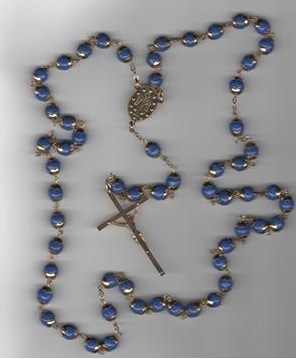 We call our rosaries the Remembrance Rosary's because we take the flowers from very special occasions such as weddings, anniversaries, first communions, baptismal, the passing of a loved one, for any special occasion. An occasion that you place so close to your heart that you never want to forget it. 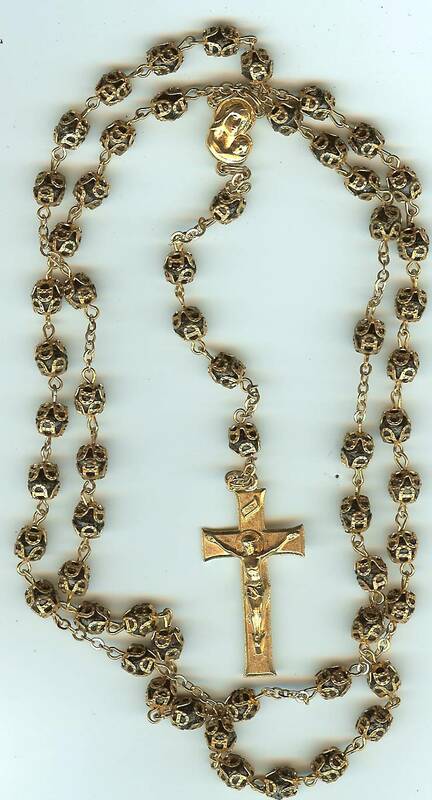 From the flowers of that special we make the beads and construct the rosary. 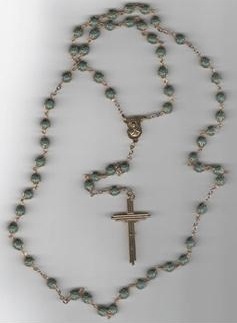 With the rosary you can pray to our Lady for that very special person and keep them in your heart. 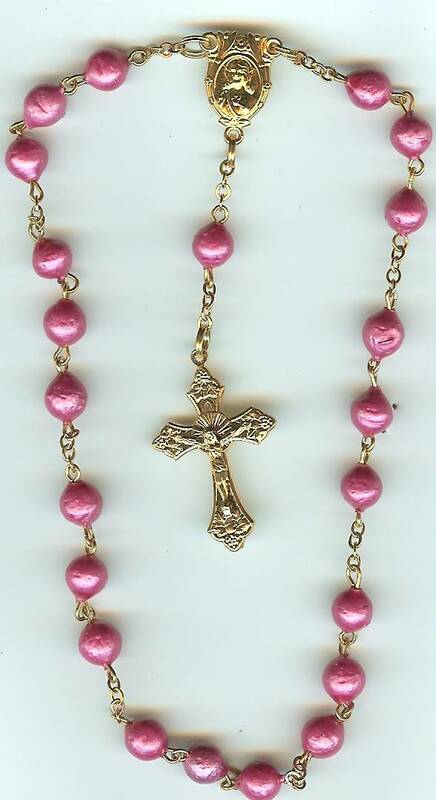 Your flowers petals are mixed with our formula to provide you with a beautiful rosary bead. 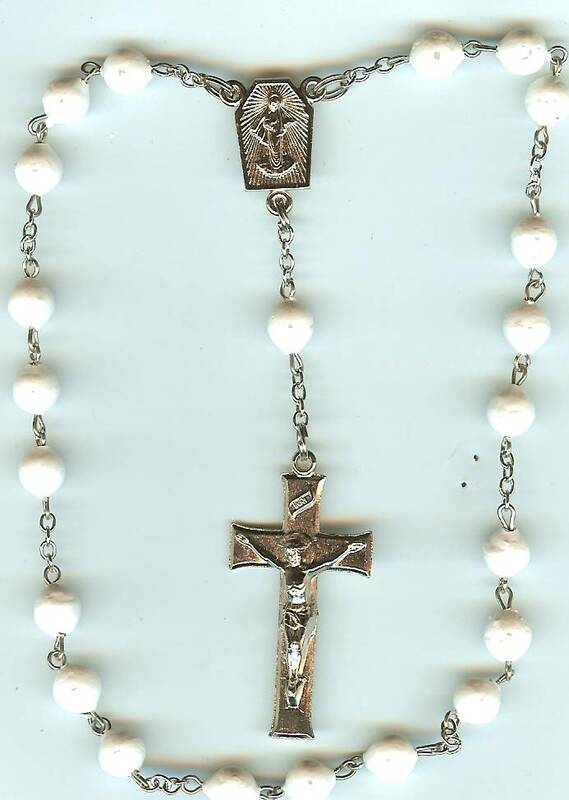 The beads are hand made and had assembled with love and care by volunteer members of Mary Queen Of Peace Prayer Group. 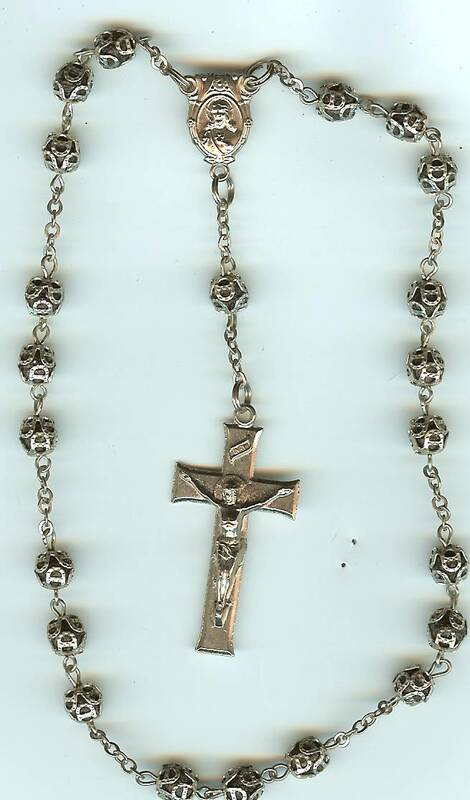 All we ask is for you to provide us with your flowers from special occasions so we can construct that Remembrance Rosary. Angel Clouds has developed a catalog of various item made from the beads. Please review the catalog. We would be honored to make that special remembrance for you. Ten percent of our profit goes to charity. 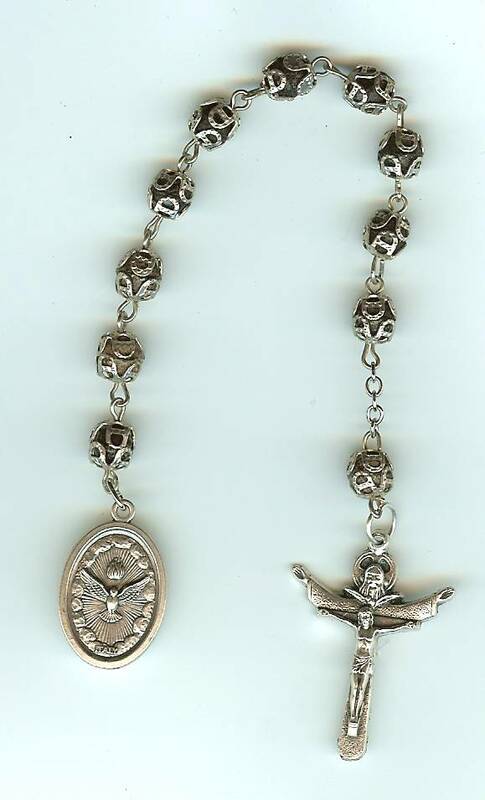 #127S Silver - "Keepsake Chaplet"